Gamification in the workplace, a concept or idea that is widely discussed but rarely implemented. Being an HR or a manager, there’s a high possibility that you have encountered this term before. And you might have thought what is this all about? What are its effects and why it is important? But before delving deeper into understanding more about gamification, let's go back to our old days'. You do remember how our teachers at school made learning fun by using different techniques, right? And we used to like practising our lessons the same way and compete against our peers to earn the goodwill of our teachers. Well, times change but habits don’t! As humans, we are more inclined towards doing things that satisfy our thirst to go ahead and out-do the rest. The same inclination is also prevalent in today’s work culture. Employees like to deal with workplace challenges and win them over. And hence, the employers in order to make problem-solving more fun have consorted to the concept of mixing gaming elements with work to improve employee engagement and productivity. Gamification in the workplace is the concept of making work more interesting by incorporating challenges and tasks. It is the technique used by employers to make work more enjoyable for the workers. As already conveyed in the above-mentioned quote by Steve Jobs, it is when one loves doing their work great things happen. And gamification does the same thing of making the work more likeable and less stressful for the employees. 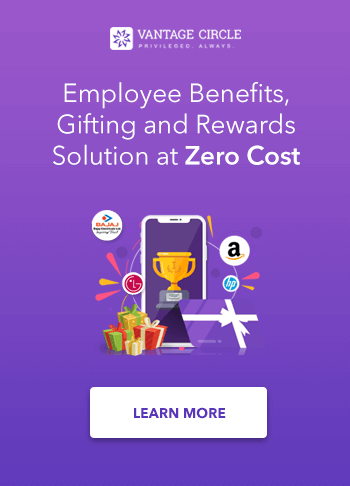 It triggers the zeal amongst employees to do more by incorporating instant rewards and recognition, frequent surveys and timely gratification. Gamification is not about turning work into a game rather it's about mixing game mechanics with work to make it more interesting and employees more productive. It also psychologically influences workers to push themselves towards the greater good through employee engagement. Productivity has always been the slogan of every organisation around the globe. Employers now are taking up various measures to ensure the same at their workplaces. However, to achieve the greater goal of productivity one must first ensure employee engagement and satisfaction. And applying gaming contexts to work provides a way to do so. Adding some amount of gaming contexts with meaningful rewards to the day to day activities helps to make the tasks look more lucrative. This again helps in grabbing the attention of employees and encourages them to give their best. Imparting lessons in a gamified way helps employees to learn quick and easy. This is useful when it comes to making the new recruits understand their functions in the organisation. Also, it makes learning fun and reduces the amount of physical engagement from the employers’ side. A large chunk of today’s workforce mostly comprises of millennial workers. And one thing which sets them apart here is they require instant recognition for their work. 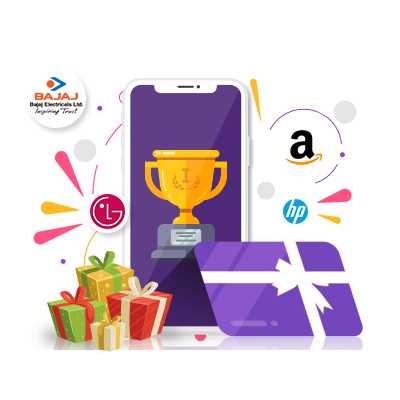 Adopting a gamification platform that allows instant rewards and recognition on completion of tasks helps a lot in increasing the level of engagement and productivity of these employees at work. Gamification helps employers bring a healthy transformation to their businesses as it gives a meaning to the tasks carried out by the employees. Imagine you and your team have been asked to sort and arrange some important documents and files. But if we view the same task as a game or transform it into one, then? Like within a given time frame the first employee or team to complete the task advances into the next level which may comprise of subsequent challenges. Or based on the time needed to complete the task, you can allocate points for rewarding the employees and motivate the others. This way you are not only bringing out the best in the employees but at the same time, you are also making their work interesting. Many of the daily tasks in the workplace can be gamified in one way or the other. It just requires a little brainstorming to see things from a gaming perspective. Here are some of the ways through which you can give simple tasks at the workplace a very new meaning. Giving a pat on the back to an employee performing well looks simple. But do you know you can gamify the same and add some extra fun here? Pats on the back are usually given by the employer to the employee or by an employee to another for a good job. Imagine adding points here and let’s say an employee who got a pat on the back from his or her manager gets 5 points. And for an employee appreciating his or her co-worker, it’s 10 points. At the end of the month or a quarter, you can tally these points and reward those getting the highest points. Here you may also think why manager to employee appreciation is less than peer-to-peer appreciation. The reason is that employees stay in direct touch with their co-workers. Their co-workers know better how their fellow mate is performing as well as they also see their efforts in getting the work done. In fact, according to an study by SHRM, peer-to-peer recognition is much more effective than an only managerial form of recognition. The sedentary lifestyle observed by employees these days is the biggest hurdle towards better health. Employees spend most of their time in front of their computer or laptop screens without much physical movement. This ultimately results in the face of many chronic illnesses mostly related to the heart. Corporations across the world try to solve this by providing healthcare solutions, spending billions of dollars. But here’s the catch, gamification solutions offers a more cost-effective way of dealing with health issues. You can encourage your employees to take up a healthy lifestyle while being at their jobs through a game based employee wellness program. For implementing such a program you can set step targets for your employees that they need to achieve in a day. Or you can add some health challenges that one needs to achieve within a given time frame. Coupling these activities with lucrative incentives that get allocated instantly upon the completion of tasks is one of the best ways to go here. If you want your employees to deliver you the best results in the minimal amount of time then adopting gamification in the workplace is an effective way to do so. The only way to get the best out of your employees is to motivate and engage them at their work. Moreover, the most important thing which your employees need here is constant appreciation. You can plan of designing a program where the one who completes the work in the minimal amount of time gets appreciated. And every time he or she gets the work done in the minimum time, they earn points. However, here’s a catch, employees may knowingly or unknowingly make mistakes in their work while trying to deliver it before the others. To make sure employees take care of this and yet deliver the correct results, you can make it a point to count in only the accurate works in the least possible time. Once the challenge is complete, you can consider rewarding the employee accumulating the most points within a day or two off from work to rejuvenate themselves. Grooming employees when they join as freshers is a huge responsibility. It is the starting phase where they shape themselves for their jobs lying ahead. And as a matter of fact, humans tend to learn fast and remember things better when it has been taught in a practical and fun way. Various activities around workplaces have gone digital and so has their approach towards learning. Here, you can think of creating an e-learning platform which engages users with varying levels of difficulty. As the user or the newly recruited employee passes one level so does the index of difficulty increases accordingly. Thus. giving the employees a challenging yet fun way to learn new things. Eventually, this also prepares them for tackling all sorts of problems and issues which may lie ahead in the path of their career. Here are some of the notable benefits of implementing gamification in the workplace. There’s no doubt that gamification plays a significant role in increasing the engagement of employees at work. The tasks presented in a gamified way lure the employees with challenges. Upon accomplishing these challenges the employees feel gratified and self-motivated. And all of these are very important to help employees bring out their true potential and be utmost productive. Work environment plays a big role in ensuring the well being of the employees so that they can deliver the best results. However, there are certain things which put a healthy work environment off the track. Let’s take favouritism as an example here. When the same employees keep on receiving appreciation every time because they have good terms with their higher-ups, it demotivates the other employees. Also, it is not a healthy and ethical practice. Applying gamification eradicates these issues by giving every employee an equal chance of proving his or her worth. Social media is a very powerful tool to boost your organisation's image. Gamification again plays it’s magic card here. Most of the employees who feel motivated after getting recognized by their employers tend to share their experience over social media. They become the voice of their organisation and earn them goodwill. Apparently, this helps the organisations retain and also attract the best talents to work for them. Teamwork is another important factor that positively impacts the work culture within an organisation. When like-minded people come together to achieve a common goal, there’s nothing impossible. Again, a gamified approach towards work makes this possible by bringing people sharing the same level of enthusiasm and productivity at work. Henceforth, ensuring a healthy work culture that benefits the growth of the organisation and the individuals working there. Defining gamification is not that easy and neither is implementing it at the workplace. Employers looking forward to incorporating gamification need to be very careful with their objectives which they want to achieve through it. If one wants to implement a gamified approach to work for the sole reason of increasing productivity, then the programs are also needed to be designed in the same way. Gamification is not only about engaging employees but using it you can engage users or your clients as well.